9 ball bearings, an adjustable ball differential with 64dp fine pitch and with V-grooves in the main gears, produced under license of PN racing, upper carbon plates and many aluminium parts make you really ready to race out of the box. 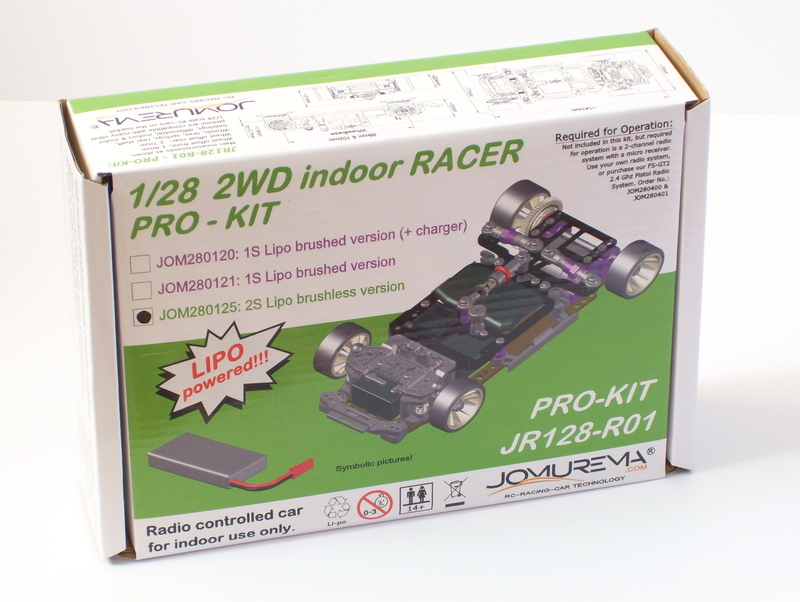 Comes with a 2S / 7.4V Lipo battery, a brushless motor and brushless ESC, aluminium steering knuckles, a transponder holder and a fast 11mm Digitalservo. Various other commercially available steering servos, micro receivers and Micro car ESCs for brushed or brushless motors from other brands can be built in and used in this car.